A precision-made 5-phase GamePlan with Individual Playbooks to achieve high-growth business success. Let's take a tour through the GamePlans, a portfolio of high performance modules that create Playbooks to power your GrowthEngine. These Playbooks crystalise your Inbound Strategy to increase your traffic flow and lead quality, convert and close more profitable deals, transform your clients into raving fans, all the while measuring your success with full campaign analytics. The Playbooks cover every stage of the Inbound flywheel of attract, engage and delight stages to maximise results. This GamePlan and its Playbook ensures the Inbound methodology is woven into your business model by placing the client at the centre of everything you do, aligning your departments and teams to common and shared objectives. Your GamePlan Inbound Strategy comprises of four modules and is executed over the first three months. It is the framework for executing your GamePlan Inbound PlayBook campaigns. This GamePlan and its Playbook is designed to drive targeted traffic to your website and attract new prospects to your company. You become a helpful company that provides relevant information at each stage of the buyer's journey, building trust and authority, allowing you to engage with prospects at scale and positioning you as the company of choice to do business with. Serving remarkable, relevant and helpful content ensures prospects are marketing-qualified before engaging with your sales team. This GamePlan and its Playbook is designed to empower your sales team to sell the Inbound way, allowing more time to be spent on prospects that are interested in buying what you supply and increase the team's performance. You benefit from following a structured sales process that is aligned with the buyer's journey to maximise closed won deals and profitability. This GamePlan and its Playbook is developed to help your client services and support teams find answers quickly. By assisting your clients to be able to self-serve on their questions through a knowledge base and to get help when they want it through online live chat and automated chat bots, your service levels significantly improve over traditional client services call-and-respond techniques. Clients enjoy their experience with your company, which allows you to sell more to them and eventually see them self-promote as advocates of your brand. This GamePlan and its Playbook is designed to measure your Inbound GamePlan Marketing, Sales and Client Service campaigns. With real-time data you can make informed decisions from key metrics measured against your SMART goals to optimise your campaigns. With a full Inbound methodology adopted, your teams approach to delivering client success is maximised and contributes to a healthier bottom line. What's your next 12 months revenue goal? ... Is it a 'Nice to Have' or 'Need to Have' and is your current plan going to deliver on that? Choose from three GamePlan Inbound Retainers, each comprising of five Inbound GamePlan Playbooks. 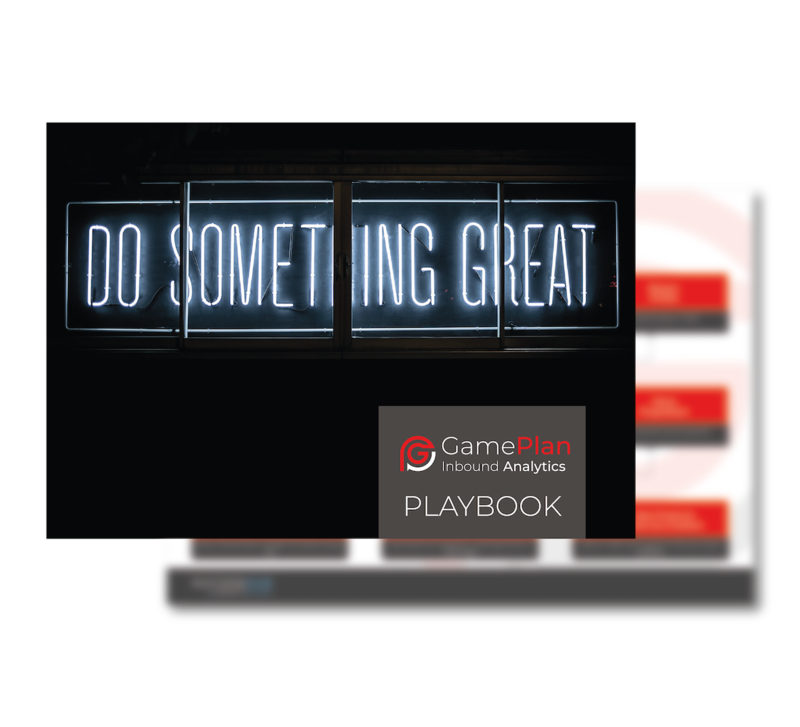 Each GamePlan Inbound Retainer has a different hourly/points inclusion each month and accommodates the speed or volume of the campaigns and services your business requires.